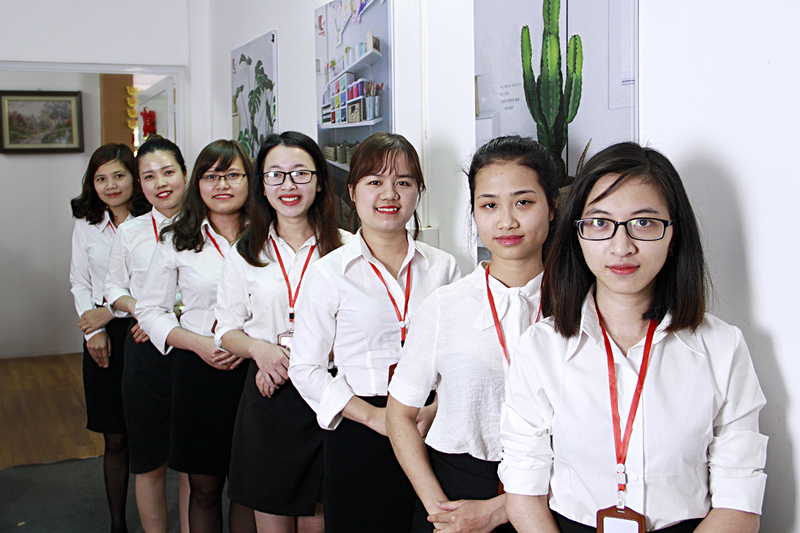 VIETTIME CRAFT is leading company in producing, exporting and trading in Vietnam, specializing in Rattan, bamboo, water hyacinth, seagrass products. We desire to maintain and stimulate the development of craft villages in Vietnam and introduce the products made by skillful hands of artisans to friends in the world. Handicraft products designed by Viettime Craft are purely handmade from natural and environmental-friendly material such as: - Home decor and handicraft: Wooden, lacquer, bamboo items such as vase, tray, dish, decor symbol - Massage tools - Home textiles & Embroidery: embroidered pictures, 100% handmade silk items such as blankets, bed sheets, pillowcase, table cloths, curtains - Housewares and storage: Rattan, bamboo, palm leaf, water hyacinth, seagrass products. - Gift and ethnic items: Brocade bags and wallets^ - Jewelry: Buffalo horn necklaces, bracelets, earrings, hair combs - Fashion: silk clothes, scarf,.. We sure you will be satisfied with diversified commodity models, we are confident that our products can make a difference regarding to it is quality, price and our way of doing business. If you would like to order or have any other comments on our service quality, please do not hesitate to contact us.